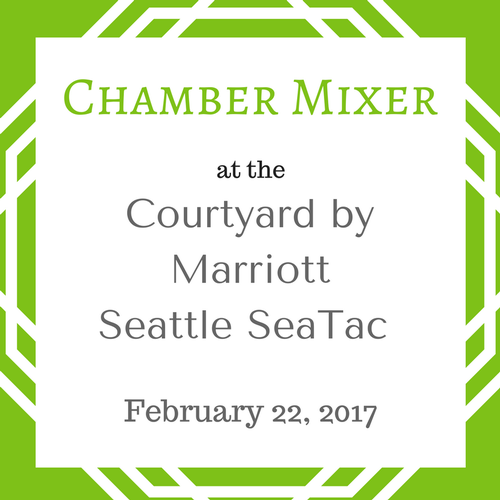 The Courtyard by Marriott is located directly off West Valley Highway, and right next door to Embassy Suites. 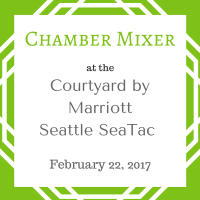 Join us at a fun and laid-back Chamber Mixer hosted by the Courtyard by Marriott Seattle SeaTac in Tukwila. We will be meeting in their restaurant Charley's.